Happy spring and Easter, everybody! 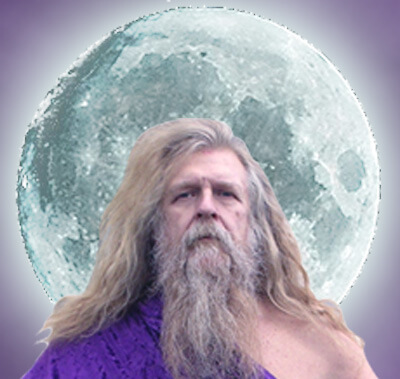 Happy Full Moon in Libra on Friday, the 6th, at 2:19 in the afternoon. It’s spring! Time to fall in love. Let Venus come between us. Please read Cancer for the answer…and remember; if I (can) love you all, then who am I? And if you can love me, then who are you? a ARIES (3.21-4.20) Almost time! But they still won’t/don’t, can’t/shan’t listen to you for 2 more weeks (isn’t it hard being a “genius”? ), and even you can’t accomplish without communication. But you can plan… Prepare to whip it out and give it form when the Moon and Mercury conjunct in the early degrees of Aries on April 18th. Meanwhile, back to this week’s Full Moon in Libra on Friday, the 6th. Your key will be balance between force (Mars) and allowance (Venus). Then, you’ll see/be free to let Venus come between us. b TAURUS (4.21-5.20) Venus just entered Gemini… Oh, Jesus! It retrogrades from mid-May ’til the start of summer, where it simmers ’til the 2nd week (August 7th) and sizzles in the August heat. You’re due to/gonna be one hot puppy! You and your other are due to review that even your other others have other lovers. Guess how the MOJO knows how deep it goes? c GEMINI (5.21-6.21) Wow! First read Taurus, above, then tell me who you love — or at least, who you’ve been thinking of? You are and will ever be the breath of spring. Let us hear you sing, and then see what your song can bring… What do you have to say? (Call me either way!) At last, it’s time to communicate — your forte! e LEO (7.23-8.22) Welcome us to the season of the Sun. Time for you to shine on everyone. Hey! How about letting down the drawbridge and having a spring soiree at your castle, if it’s no hassle for you and your vassals? f VIRGO (8.23-9.22) Well, your trial’s over and you’re back on track in the clover. How do you look — since you’ve just experienced having a look at yourself? Put it back together slowly. Now, please read and find the/your answer in Cancer, above, and learn about love. Oh! There’s a Leo looking for your help for their/your spring fling! g LIBRA (9.23-10.22) Your ruler Venus just came between us! OOOooo, OOOooo, OOOOOOoooo! How does the MOJO know? You(’ll) get the “action” that leads to your satisfaction during/after the Libra Full Moon on this, your own, personal Good Friday, at 2:19 in the afternoon. Love, beauty and/or art enters your life at school or on a vacation with dual destinations. Why? Venus just entered your 9th House of Gemini. h SCORPIO (10.23-11.22) Back to work — and now, this time, no one (not even you) refuses. You’ll find two kinds of help in this world: those who ask you how they can help, and those that offer excuses. Which are you? Which one do you want to be? What do you see yourself doing? Time to find the work for which you were born. i SAGITTARIUS (11.23-12.21) Early Sagittarians are looking at their life’s potential (transiting the North Node) through their mother’s eyes (the transiting asteroid, Juno). Jupiter is Zeus and Juno is his lady. That makes you the baby. Study the lessons of commerce ’til mid-June; then write about what you’ve learned (about yourself?). You’ve got a year from here. j CAPRICORN (12.22-1.20) Time (ruled by Saturn, your ruler) for you to study beauty, art, balance, design and partnerships (ruled by Venus). Take your time and create something beautiful — first for yourself, and then to share with others. You’ve got plenty of time. Fill it with beauty while you can. k AQUARIUS (1.21-2.19) Put it all back together (from March 6th and March 18th’s karma) on the New Moon in Taurus (on April 21st) and Earth Day (the 22nd) — and pray it doesn’t rain, for a change! l PISCES (2.20-3.20) Except for Aquarius and Aries, you’ve been the craziest of the crazy, lately. Guess how the MOJO knows? Thank God for your immensity! It allows everything to flow in, to and through you. All the dramas and trials of your/one short, little lifespan equal merely the ripples on the surface of one lake. Yours is the depth of the ocean. Drink deep from the waters of (y)our experience — and why not use this lifetime to find who you truly art?